Contain the active ingredient : Irbesartan, which is a type of medicine called an angiotensin II receptor antagonist. (Irbesartan tablets are also available without a brand name, ie as the generic medicine.) Irbesartan lowers blood pressure by preventing the action of a hormone in the body called angiotensin II. Angiotensin II is involved in regulating blood pressure and fluid balance. It has two main actions. It causes the blood vessels to narrow and the kidneys to retain salt and water, which increases the volume of fluid in the blood vessels. 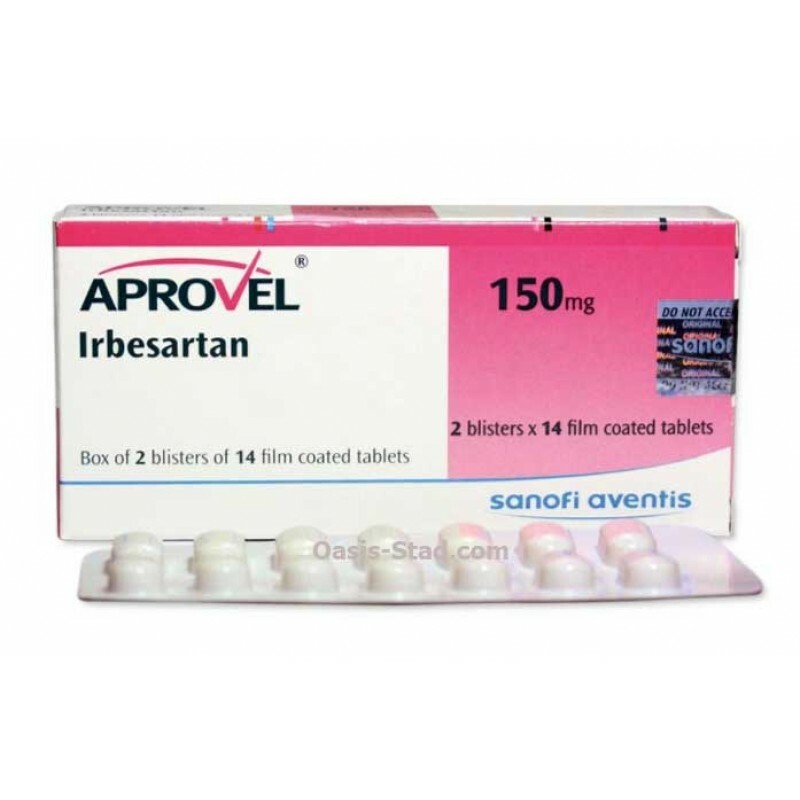 Irbesartan blocks the receptors that angiotensin II acts on, and so prevents its actions. The main result of this is that the peripheral blood vessels are allowed to widen, which means that there is more space and less resistance in these blood vessels. This is the main mechanism by which the pressure in the blood vessels is lowered. Blocking the actions of angiotensin II also increases the amount of fluid removed from the blood by the kidneys. This decreases the amount of fluid in the blood vessels, which also lessens the resistance and pressure in the blood vessels. The combined overall effect of these changes is to lower the blood pressure, hence irbesartan is used to treat high blood pressure. Irbesartan can also be used to protect the kidneys and slow down the decrease in kidney function in people with type 2 diabetes and high blood pressure. Kidney disease in people with type 2 diabetes and high blood pressure.